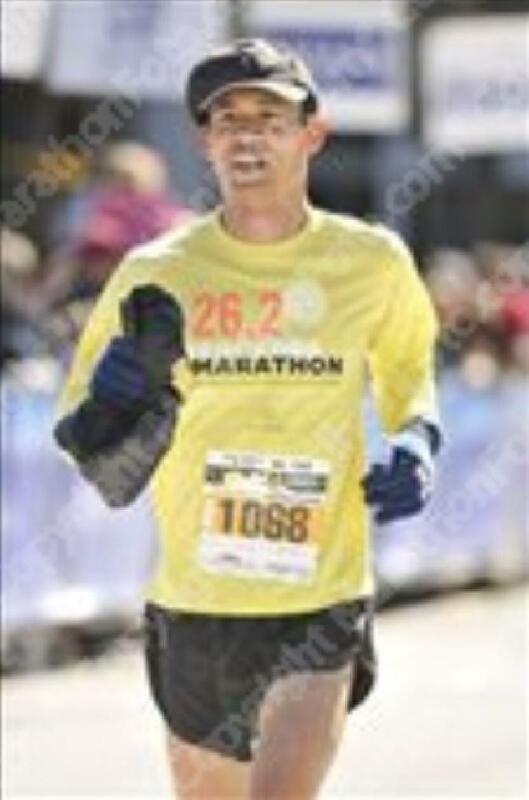 There were several parallels between this marathon and the very first one I ever ran. First, it was immediately preceded by two weeks of travel and vacation (in this case, Florida and Jamaica). Second, there was a complete lack of training. For the Silicon Valley Marathon I did a long run of seven miles; for this one—the Mercedes Marathon of Birmingham, Alabama—my longest training run was five. Prolonged illness and lack of discipline were the major culprits here; in any case, in both races, I came to the starting line just trying to wing it. Similar preparation, different result? No! 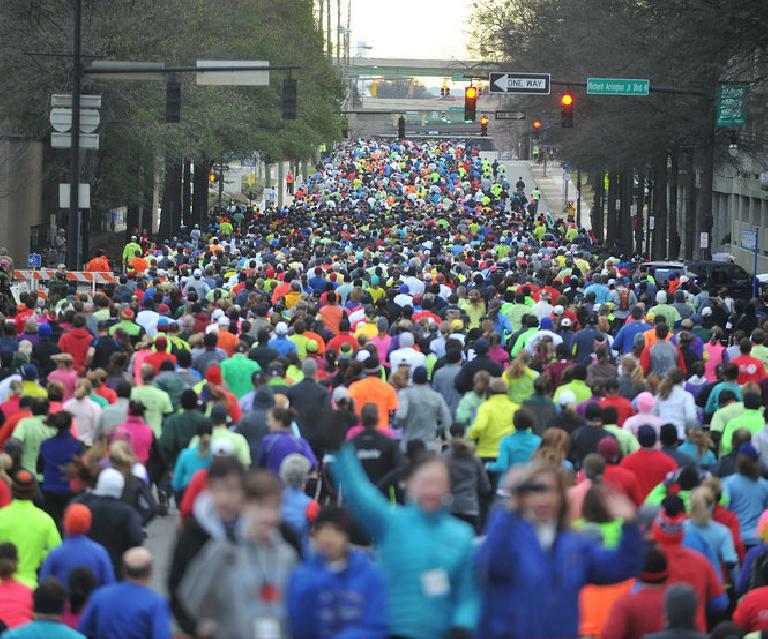 There is just no way to fake your way through a whole marathon. It didn’t help that Birmingham turned out to be a bit hillier than I expected. None of the inclines or declines would ever have been confused with Pikes Peak, but they were frequent enough to lop off miles from my effective endurance range. My pace started to drop off after Mile 12 or so; by Mile 17, my legs were done. Starting at around Mile 18, I had to take walking breaks. This was particularly humbling because I had not even run particularly fast the first half, which took 1hr43min (or about 10 minutes slower than the first half of marathons I ran in the last 3 years). Yet my legs already had enough. I no longer felt like a true runner. Now my goal—as with Marathon #1—was simply to make it to the end. Time was of inconsequence, and crossing under the finishing banner at Mile 26.2 was to be achievement enough, just as it was for the first-timers among us. So I continued jogging, walking, jogging, walking. At least until Mile 24 when I simply had enough of this and I forced myself to run the last two miles all the way to the end at about 10 minute/mile pace. When I was done I immediately walked back to the rental car, drove over to the hotel where I had wisely requested a later (1:00 p.m.) checkout time, cleaned up and rested. Unfortunately I was still so pooped afterward that I decided to forego plans to visit the Civil Rights Institute of Birmingham, and ended up just eating a light lunch and napping in the car until it was time to drive back to the airport later that afternoon to catch a flight back to Denver. My legs would have soreness for many days afterward, a pain that was debilitating enough that I resorted to taking what my friend Alyssa refers to Vitamin I (ibuprofen). Fortunately I had thought this out well enough in advance that I had an appointment with my favorite massage therapist all set up a couple days after the race, and while she worked her magic I resolved that for the next marathon I do—whenever that will be—I will actually train seriously. 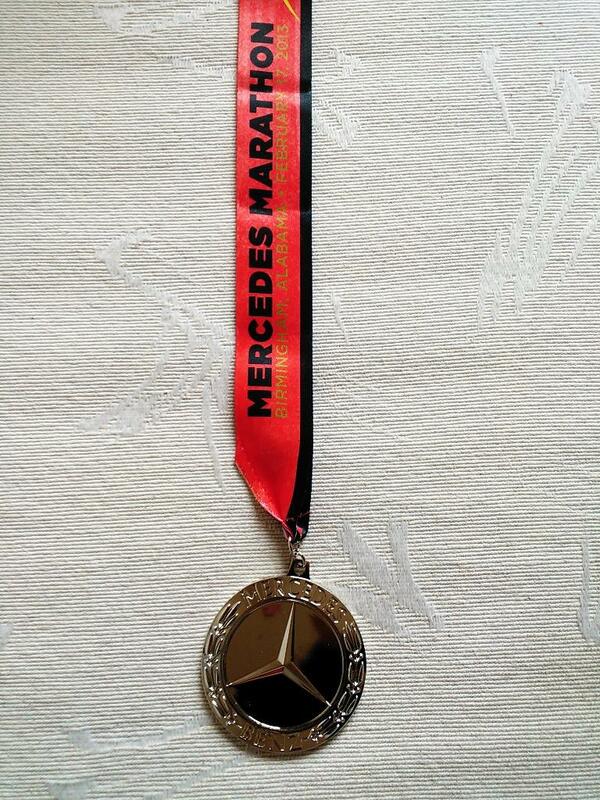 As you can see, the medal was of Mercedes quality, even if my performance was anything but.